This is what it looks like outside my front door. There’s so much snow, it’s hard to know what to do with it. I’ve often said (and stand by my assertion) that February is the toughest month here in New Hampshire. My friends who ski will disagree with me! 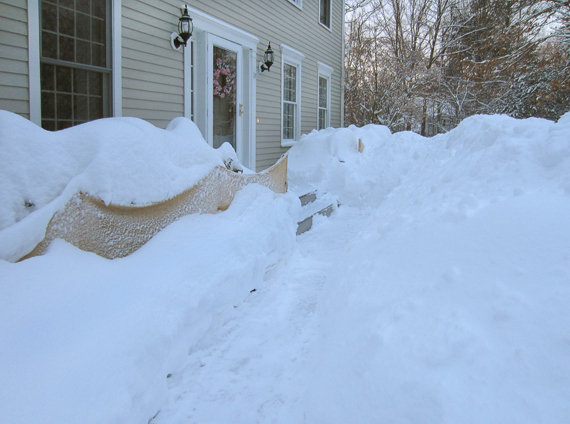 Speaking from the perspective of clearing the snow from the driveway, though – February is no picnic. Actually, this winter I’ve had a different attitude than usual regarding snowfall, since I’ve made a conscious effort to continue to photograph all through the season. Unfortunately, though, there is so much of the white stuff that I can’t get to many of my locations…so there really isn’t much shooting going on after all.